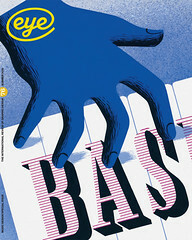 Eye Magazine | Review | Best or just beautiful? The values of the contest are thus resoundingly traditional: ‘good choice of materials’, ‘appealingly sensual composition’, and ‘standards of quality’. All of this, of course, in contrast to the determined political position and borderline self-destructive impulse of the contest’s more famous Swiss cousin. The two together reveal an obvious polarisation in a shrinking business in which the last word might never be said. Yet although the criteria of craft and material finesse are relevant and represented by full page, close-up details of bindings and spreads, the jury’s choices seem surprisingly little tied to the books’ contents. Again and again the commentary applauds ‘Agreeable overall composition’, ‘convincing design concept’, and ‘excellent choice of typeface.’ Sometimes the contents are glossed over in a half-sentence, but one never really understands how such choices came to be made. The books are thus represented not as the ‘best’ so much as the ‘most beautiful,’ the more literal English translation of the German title. However, this disregard for content has made for wide variety. The classicism of Maria Wollner’s design, using bible paper, for Melville’s epic Billy Budd contrasts with the colourful construction of Richard Paul Lohse (design: Gabriela König and Markus Bosshard) and the vast Migropolis (below). ‘Despite its 1344 pages there is not a hint of boredom!’ exclaims the caption. The overall winner of the contest suggests an interesting solution for the divorce of criteria from content. The unity of Judith Schalansky’s Atlas der abgelegenen Inseln, to be published in English later this year as Atlas of Remote Islands (Penguin) stems primarily from the fact that she conceived, wrote, illustrated and designed the book herself.